King Midas, you may remember, had a problem with gold. Everything he touched turned to the yellow stuff. Fine for a while, but not when he realised "everything" meant just that - everything. He might have had some sympathy with Apple's problem of simply having too much money. 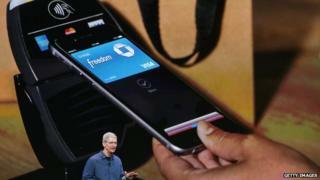 And the biggest quarterly profit in history, $18bn, is actually adding to Apple's biggest headache - an excess of cash. In short the company is making money far faster than it can spend it. Its cash pile now stands at close to $142bn (£93.5bn). The problem is how to generate a return with that money for shareholders. It has enough, in theory, to buy 480 or so of the companies in the S&P 500. Or Lithuania, three times over. But simply buying up companies is a complex and intricate business and suitable take-over targets are few and far between. Its latest, the subscription music service Beats, cost just $3bn - and that was its largest purchase ever. It can invest in its own development, and it is spending an estimated $5bn on the 176-acre Apple Campus headquarters site. But still the money keeps rolling in. Most of it gets parked in what the accounts call "cash and cash equivalents" and short and long term marketable securities: government and corporate bonds. Apple manages the cash through a subsidiary, Braeburn Capital, based in Reno, Nevada which has no state corporate income tax, or taxes on corporate shares. It is in effect one of the largest hedge funds in the world. But shareholders like shareholder activist, Carl Icahn, have been demanding the company simply must hand some of that cash back to shareholders by buying back shares. Hedge fund manager David Einhorn of Greenlight Capital went so far as to sue the company two years ago to try to get a payout. They argue that cash, invested largely in government securities gives a paltry rate of return. Einhorn argued that getting the excess cash off Apple's balance sheet and back to shareholders would increase the value of the company by $50 per share or more. So the company obliged and in 2012 started buying back its own stock . Last year it spent some $45bn buying back Apple shares. The problem is it has not made much difference. The latest set of results show it has as much cash as it has ever had. In total, the amount of cash in the group is around $178bn. Some $35bn in debt reduces that figure to the $142bn mentioned above. Debt? Why on earth, when you have more wealth in your piggy bank than the average developing nation generates in a year, would you want to borrow more? The answer is that little of that cash is easily accessible to pay shareholders. Some 89% of it lies offshore out of the hands of the Internal Revenue Service. Bringing it back would subject it to a top corporate tax rate of 35%. Far easier to borrow the money instead. And since it has a such a cash pile behind it, banks are happy to lend to Apple at rock bottom rates - even by today's standards. Last year Apple funded its share buy-back with a $17bn bond issue. So, in effect, Apple did what Icahn and Einhorn wanted. The share price has recovered from around $60 in mid 2013 to around $110 this week. But the cash mountain remains. Chief Executive Tim Cook told Congress two years ago that much of it could eventually come back to the US. He even admitted Apple would be happy to pay more tax, but only if there was a "dramatic simplification of the corporate tax code" including a "reasonable tax on foreign earnings that allows the free flow of capital back to the United States". But of course if the money did flow freely back to the US, no one is guaranteeing it would be invested any more wisely than it is at the moment.